What could be a more appropriate location for a Traditional Pottery Museum than the original area where potters had their workshops in ancient Athens, in the area of Kerameikos? In a restored 19thcentury mansion, this museum is dedicated to contemporary pottery art and Greek folk art. It is located very close to the Thission metro station at the heart of the historical center and across from the Jewish synagogue. It features more than 4,500 ceramic works of the last three centuries that showcase the art and skills of Greek potters. 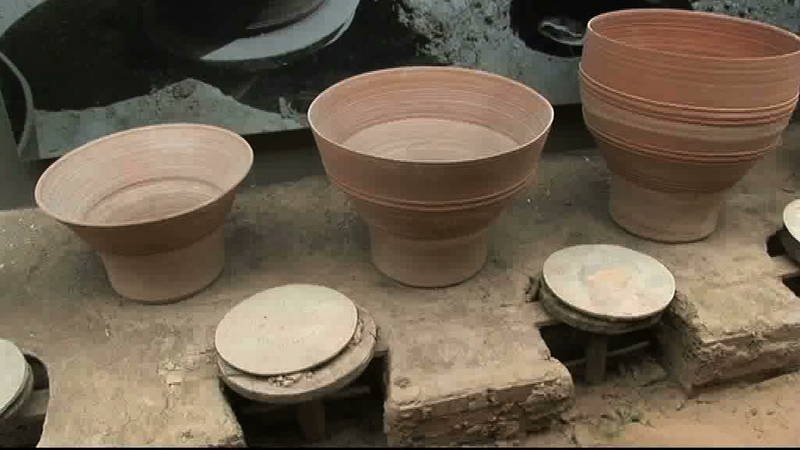 The museum also presents reconstructions of pottery workshops, organizes seminars and acts as a documentation centre for every aspect of traditional pottery with an extensive photo and film archive. The Museum is open Monday through Friday from 09.00 to 15.00, Sundays from 10.00 to 14.00 and is closed on Saturday.